Every time I buy a new clothing item, it inevitably faces scrutiny from my mum. I either get an impressed, “I like this”, or no comment at all which translates to, “you bought this! ?… bye Felicia.” Recently I bought this green leather pinafore dress form Zara, which was completely out of my comfort zone for three reasons: 1. I never really wear green, 2. unless it’s a jacket or a skirt, I also never really wear leather and 3. I never wear pinafores. Given it was out of my comfort zone, I thought it would be even furthur out of my mum’s, and I was convinced she’d hate the dress. Strangely enough, she actually really liked it. She ended up tolling me a story about how when she was my age, she got her mum to sew her the exact same dress, in the exact same colour; hence the cheesy name of this post – “Childhood”. I styled it with a black turtle neck, as I’m pretty sure I had seen a model styling a pinafore with a turtle neck the day before on ASOS, and was impressed with how it looked. 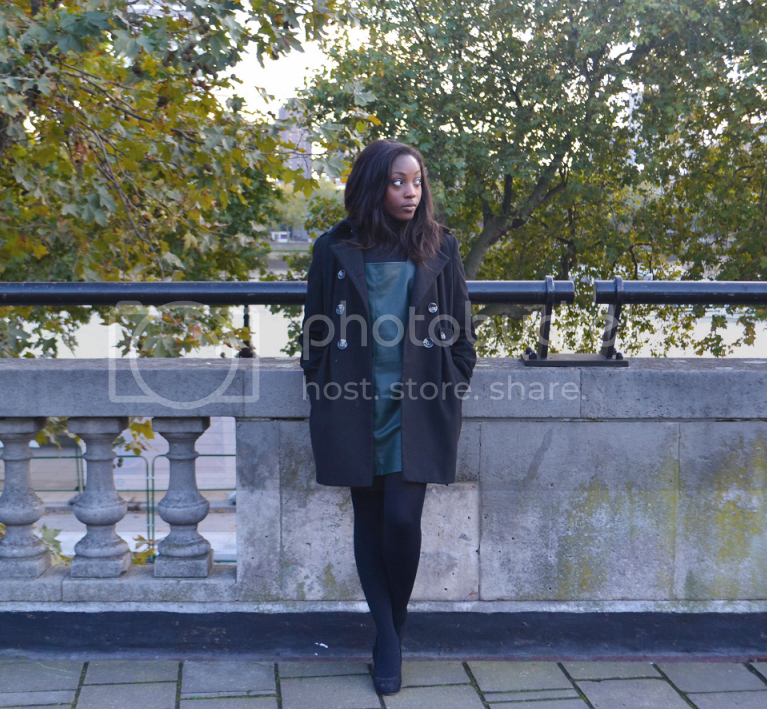 I also paired it up with some wedged heels and a long (old) black coat. This is definitely one of my favourite outfits. Outfit posts should really become an every-week thing for me now. I also have a couple of reviews coming up, including one of the Sleek brow kit which has changed my life.